CatSci Ltd is delighted to announce the appointment of Dr. Paul Bradley as its new Head of Business Development. Dr. Bradley joins the team with 28 years’ experience in drug discovery and development, covering both scientific and commercial roles. Paul has a proven track record of success in drug discovery helping to deliver 12 NCEs into development and 3 small molecules into Phase 2 clinical trials. 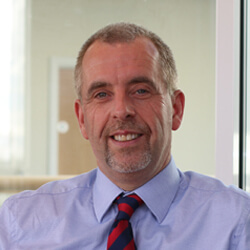 He previously held senior positions with Pfizer, Charnwood Molecular and Concept Life Sciences. © 2011-2018 CatSci Ltd. All rights reserved. Registered in England & Wales. Company No. 07466141.